Sardar Vallabhbhai Patel (1875-1950) was born on October 31,1875. After qualifying as a lawyer,he started practice in 1913 at Ahmedabad. He met M.K. Gandhi in 1916 and was instantly overwhelmed by his honesty and sincerity. He led Ahmedabad labour strike in 1918. He was leader of the Nagpur Flag Satyagraha (1923), and the Bardoli Movement in 1928. It is at that time that Mahatma Gandhi conferred him the title of “SARDAR”. In 1931,he was elected President of the Indian National Congress and was chairman of the Parliamentary Sub-Committee of the Indian National Congress, 1935-40. He took part in the Satyagraha (1941) and the quit India Movement(1942),and was imprisoned in the Ahmadabad Fort up to June 1945 along with Mahatma Gandhi, Jawaharlal Nehru and other national leaders. In the interim Government, he served as Home Minister and after India won her freedom, was made the Deputy Prime Minister of India. One of the greatest contributions of Sardar Patel was to organise the princely states and induct them into the federal structure under the 1950 Constitution. The rulers of Junagadh and Hyderabad were plotting secretly to join Pakistan. Patel sent an army under Brigadier Gurudayalsimha to the border of Junagadh to deal with Pakistan. The people of the state who wished to join India rebelled against the ruler and set up a People’s Government. The Nawab, who had tried to betray the people, ran away. Patel reached Junagadh on the 12th of November 1947. In the course of a speech there, he warned that the Nizam of Hyderabad would share the fate of the Nawab of Junagadh if he did not behave sensibly. But the Nizam did not learn the lesson. He sent millions of rupees to Pakistan.One of his men, Kasim Razvi , began to harass the Hindus. His gang was called the Razakars. They tried to drive the Hindus out of Hyderabad. There was no limit to their crimes. They tried to get arms and ammunition from outside. Finally Sardar Patel sent some forces under General Chowdury to undertake ‘Police Action’. Within five days the Nizam was forced to surrender. Kasim Razvi ran away to Pakistan. The atrocities of the Razakars came to an end and peace returned to Hyderabad. 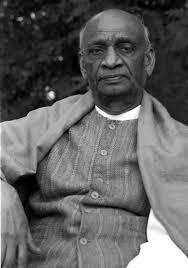 The firm policy of Sardar Patel, the Man of Iron, crushed all the plots against India. This entry was posted in Biosketch, History, Nation and tagged Hydereabad Nawab, Iron Man of India, Junagad, Kashmir, Partition, Patel, Sardar Vallabhbhai Patel, United, United Bharat on November 7, 2014 by navayugbharati.